Every artist needs to be versatile, and have the ability to cater to different tastes and trends with their skilled hands. But each artist also tends to develop a unique style and voice as they progress in their careers. Here are 8 artists and the personality types of the subjects that their styles will work best with. Usha Patibandla enjoys capturing the inner beauty of individuals, and her portraits do exactly that. She can paint a woman of strength, but also a child with free-spirited wonder and delight. 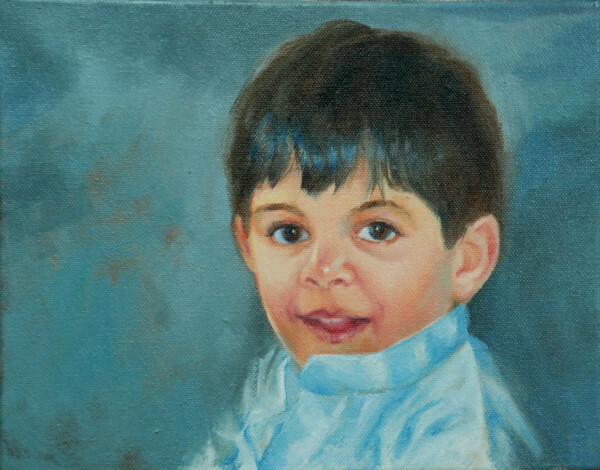 If you are looking to do a portrait of someone who has a zest for life, Usha is the right artist for you. If you’re a die-hard romantic, as well as a lover of nature, Yejin Jun is the right artist for you. She has a classic style, and is known for her works featuring beautiful women with flowers or leaves as a backdrop. Her works are minimalist, features lots of white space, and exude an air of calm and sophistication. #Leaves I by Yejin Jun. 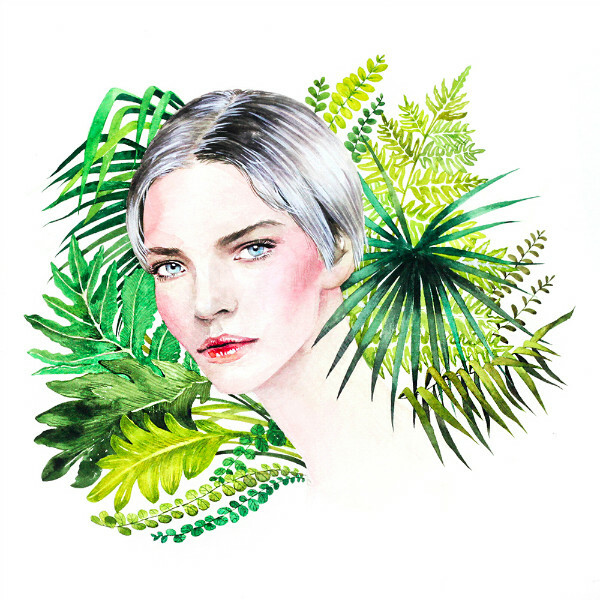 You will fall in love with Lucy Lawes’ pieces because they’re not only beautiful to behold but she seems to be able to capture the essence of the subject. In her sketches, the subjects’ eyes come alive, capturing your admiring gaze. My personal favorites are her pieces featuring a person with an animal. Renee Rials has a way of capturing moods and emotions with charcoal and pencil. A pensive moment, a provocative stare; everything is unveiled by way of her combination of light and dark strokes. It is almost disarming how her portraits turn out looking so much like black and white photographs. 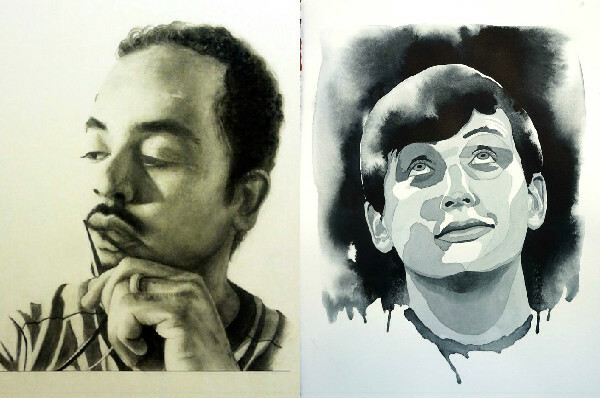 Another black and white artist to look out for is Betty Ann Lampman, who recently completed 100 portraits in 100 days. From left: Charles No 1 by Renee Rials, and 100 Days No 28 by Betty Ann Lampman. Leslie Low has a dark side that he gives voice to in his paintings. But he also has a bright and chirpy side. His piece (below) titled Tessellate is almost reminiscent of a scene from Pocahontas, and makes one bubble over with unceasing hope and optimism. 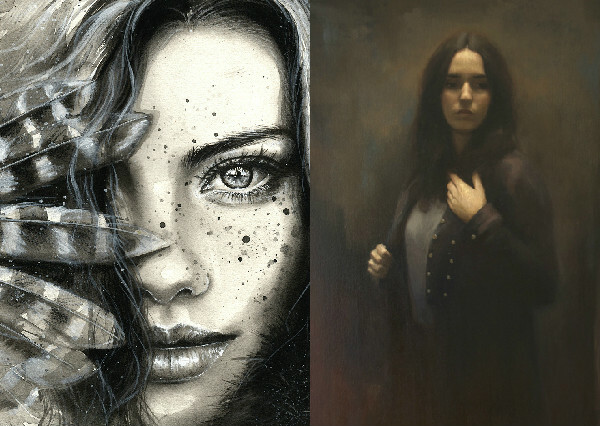 There is always something dark and beautiful about Isabel Garmon's portraits. It captures not only the subject's personality but also her mood and feelings. Tanya Shatseva is another artist to look out for. 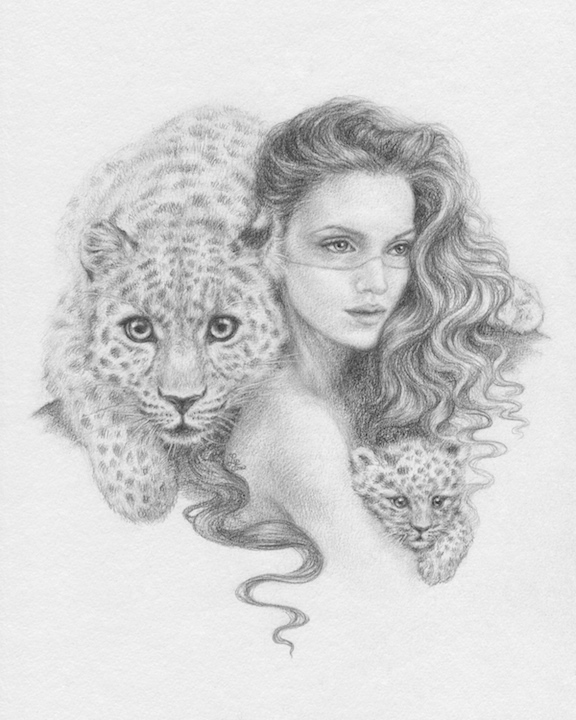 She adds a mystical touch to the portraits that she helps to bring to life. Each one speaks to you in an rather deep and unforgettable way. 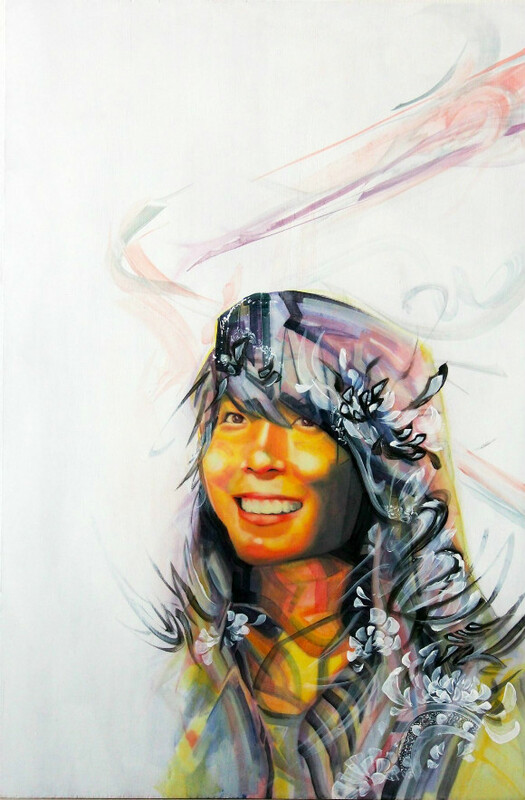 Ael Lim is half-graffiti and half-tattoo-artist. 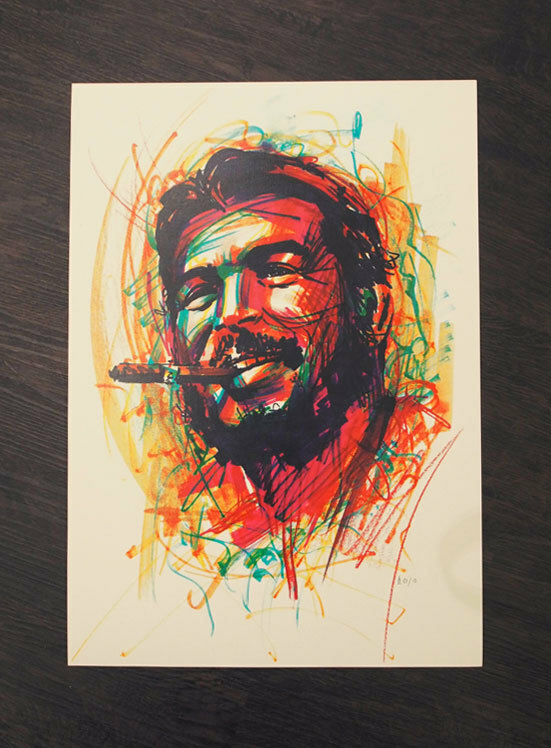 His art suits the most daring and colorful of personalities, of leaders in their field, of revolutionary leaders. Stay tuned for part 2 of our series on portraits.